Yes… donkeys like to blog too. At least Weezie and Napoleon do. This morning while rummaging around the Master’s Table, Weezie realized Clark has another site where it seems buildings make funny faces at him and disguise themselves as animate objects. Then she saw it! There in Clark’s sidebar (Oh the stuff one finds in sidebars… hint, hint). 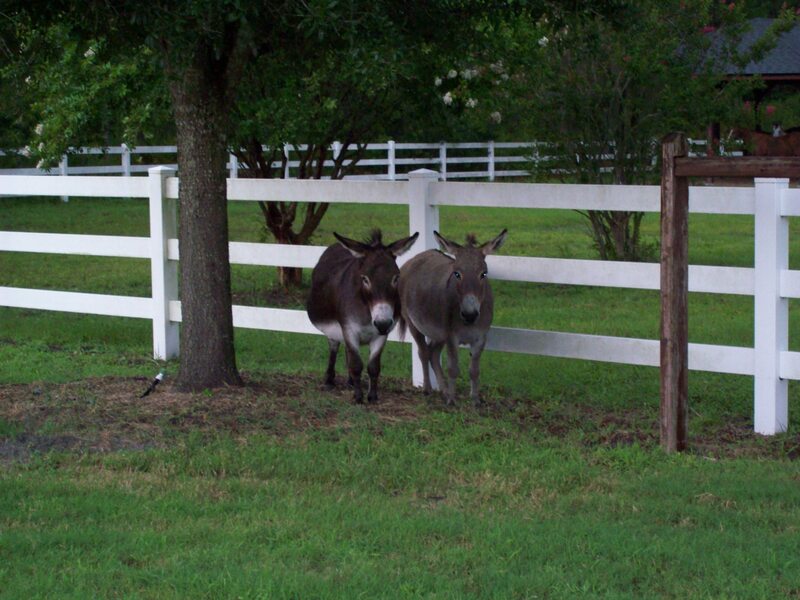 Wouldn’t you know it: The Donkey Whisperer Farm Blog! Weezie hasn’t felt this spry since Eddie Murphy agreed to be morphed into a donkey and co-star in Shrek. Oh yeah, Weezie almost forgot to tell you… there’s great messages to go along with all the centerfold pics of her fellow masters of the obstinate universe. This entry was posted in Animal Kingdom, PossumPosts and tagged Donkey, Eddie Murphy, Napoleon, obstinate donkeys, Shrek. Bookmark the permalink.